Bullhouse Mill the first commercial project in the UK to be awarded the renewable heat incentive (RHI) by the government was visited by HRH Prince Edward. Booth Brothers Printing in South Yorkshire entered the history books by becoming the first place in the UK to get the government’s Renewable Heat Incentive in 2012. Its offices, housed in an 18th century former corn mill in Penistone, is kept warm through an underfloor heating system powered by a renewable energy heat pump. The 24kW system was installed by Earthtest Energy, and will generate an inflation linked RHI payment of £2,600 per annum for twenty years. The installation is part of a zero carbon office complex in a converted corn mill and incorporates underfloor heating and mechanical ventilation with heat recovery, which was also installed by Earthtest Energy. 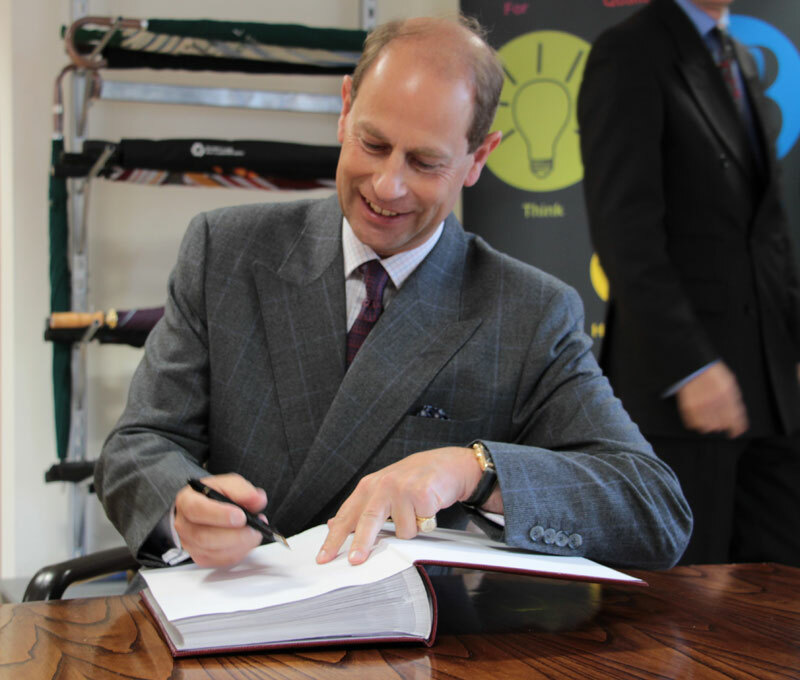 Prince Edward was taken on a tour of the mill to see how the ground breaking ground source heat system works. He commented that he approved and was very impressed with the system.